I am actually here this year in Vancouver, which made it an easy decision. I think I have been away the last three years for it so it has just never worked out. Basically in heavy training I am doing two Marathons a week (40-45KM sessions) and most of those are on my own. So to be able to get out and be surrounded by such motivated runners, I am super excited. The course is absolutely beautiful, but I am lucky there won’t be any judges out there because I don’t think I will be adhering to the one-foot on the ground rule coming down the hill from UBC! My expectations for the race are low. I am heading to Peru a few days later to race our Pan-Am Race Walk Cup the following weekend so it will really just be a training walk. I will be aiming for something around 3:10-3:15. At my quickest I think I could go low three hours, 3:02-3:05. What I am most looking forward to though is pulling people along to PB’s! No one likes getting passed by a walker so I’m hoping in those final 5KM I can push people out of fear of embarrassment to run quicker than they ever have before, which would be a job well done for me! 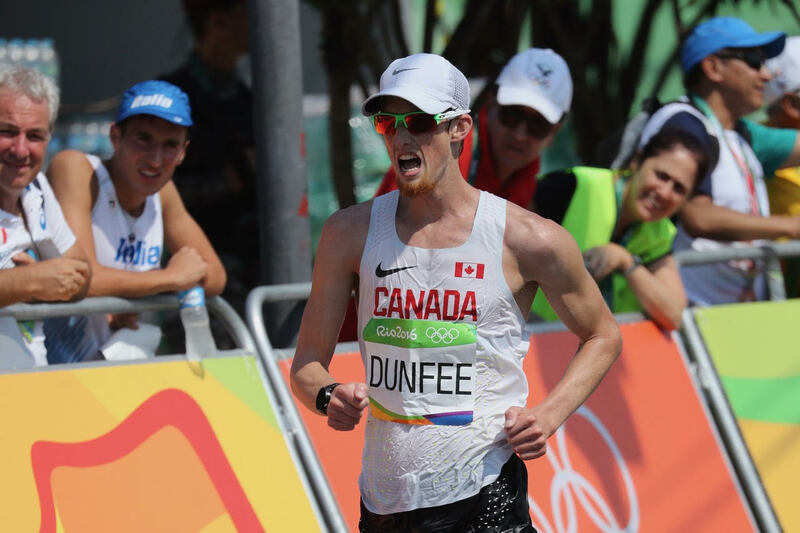 Dunfee won the Vancouver International Marathon Society’s last event, the Fall Classic Run at UBC in November. The Olympic race walker ran the course, before deciding to race walk the last few meters to cross the Finish Line in first. Dunfee finished with an impressive Half Marathon time of 1:10:44. 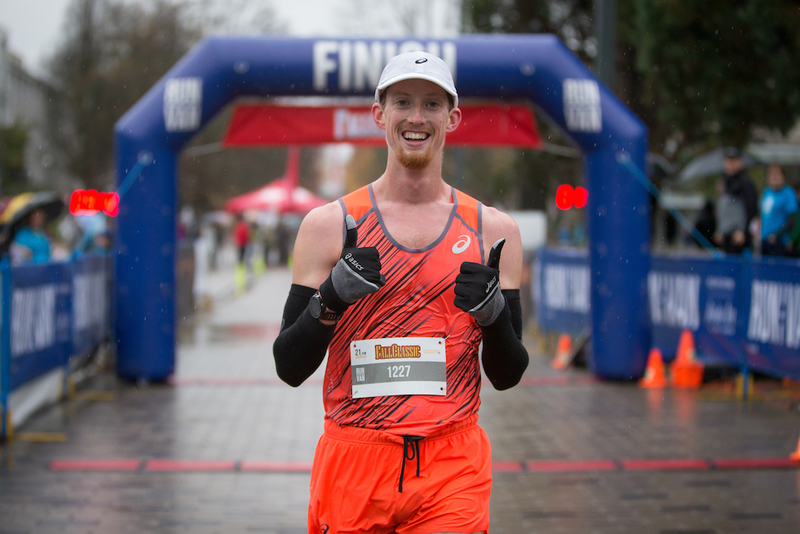 Join in during the BMO Vancouver Marathon weekend in May!